This seems a bit beyond the basics but, when broken down, it’s really quite simple. And elegant. Total cooking time is less than one and a half hours, but the end product looks like so much more. 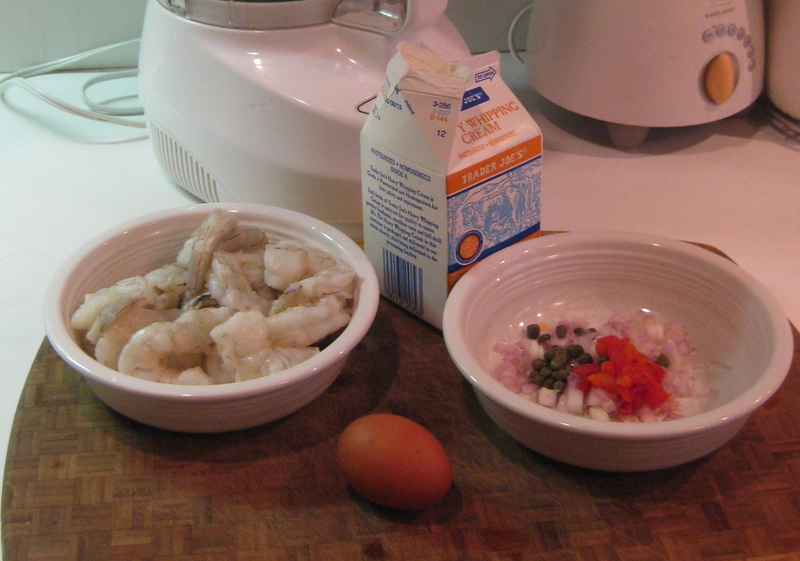 The technique covered in this recipe is boning round fish through the back. So break it down into three parts: preparing the puree, boning the fish, and assembling the final product…. Fluffy dumplings contrasted with a vegetable sauce. The sauce is tomato-based for this recipe. You can also use an alfredo sauce or some other dairy variant. A festive presentation. 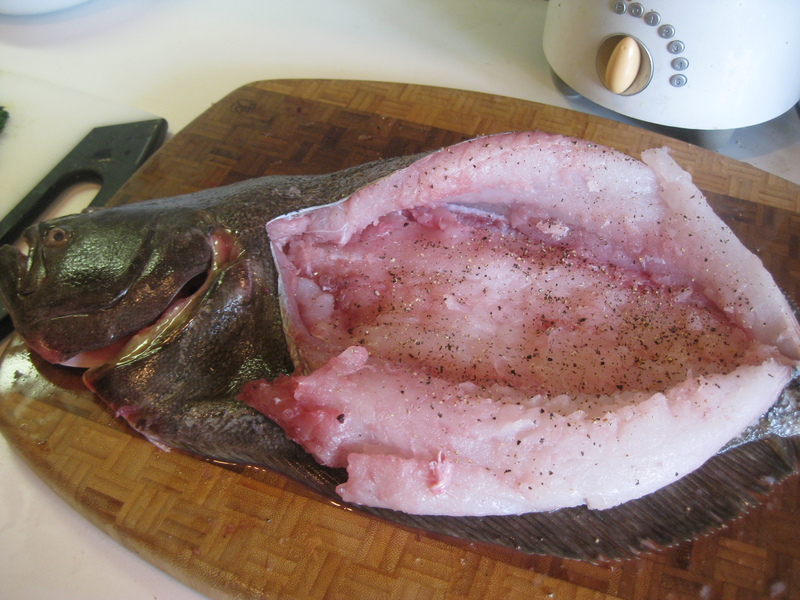 The toughest part of this recipe is prepping the fish (see Boning & Prepping Flounder). Diners will think you slaved all day. It’s true that gutting and boning sea creatures is not for the faint of heart or tender scented, but the rest is a snap. With a little practice total time from prep to service is about an hour. This technique is great for presenting a whole fish at the table. I like to leave the head on. For the squeamish, you can take off the head and tail, use this technique to remove the backbone and ribs, and then close the head opening with skewers and twine. When buying the fish, ask for it to be scaled only. Not gutted or fileted. You’ll probably have to say it twice. Salmon or trout filets are fast and easy as a sauté. If you want to get fancy you can dredge in flour and crisp. If you’re looking for a path of least resistance between the stove and table here’s an idea that can be executed in 15 minutes. Fish prepared this way cools quickly, so you want to put a serving plate in the oven to warm while setting up. Also remember pat the fish dry with paper towel before adding it to the pan so that you cut down on froth forming in the pan.